A lovely evening with beautiful sunset colors. A nice drive to the Comana Woods with my brother-in-law. After that superb sunset our hopes for observing comet 46P Wirtanen were almost gone: a rapidly forming cloud covered the entire sky for about one hour. 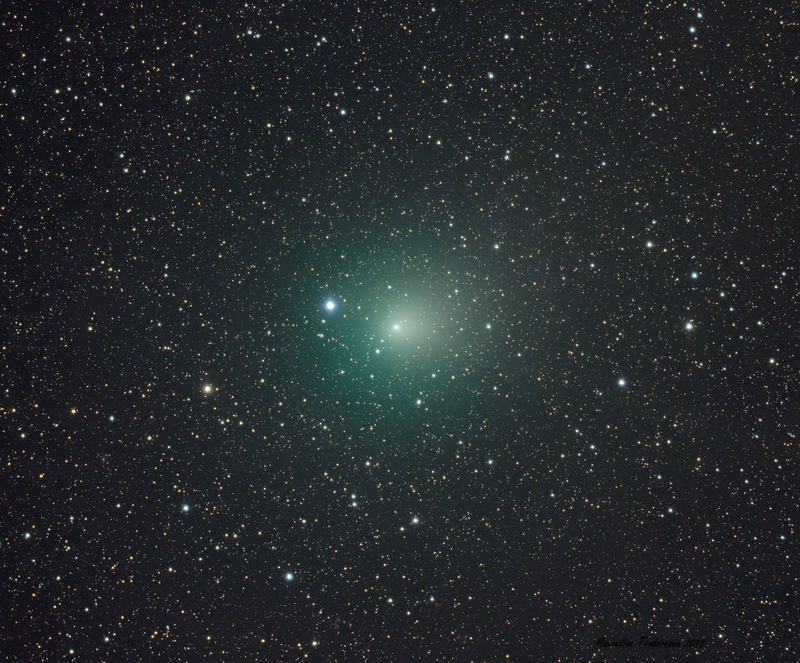 As a cold wind started, the cloud miraculously vanished into thin air, and we could see comet Wirtanen with the naked eye. A small, faint patch of light just left of the star Capella. My estimation was visual magnitude +4.7. I did get, for the next hour or so, the chance to image the comet through a small 65mm refractor. The comet is now much dimmer compared to my last observation, 10 days ago. There is a hint of a tail, faintly seen in the second image, where the Larson-Sekanina inset also shows it. It is confirmed by other amateurs. 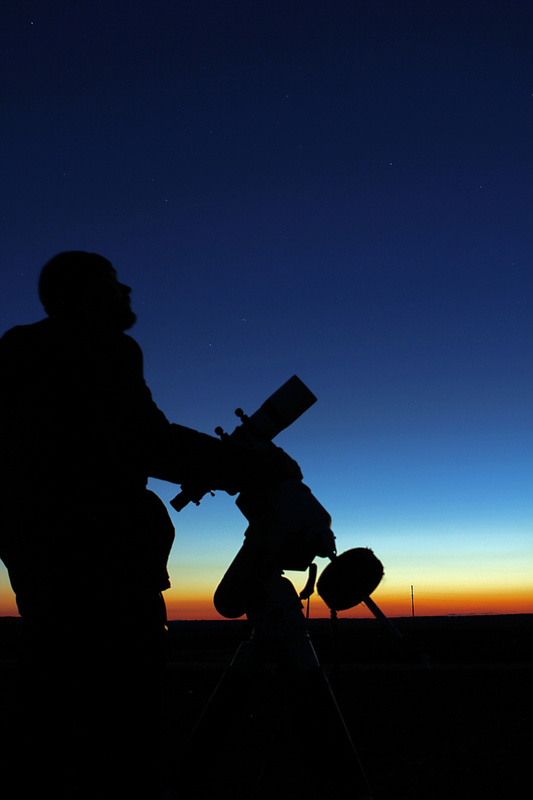 Equipment: TS 65Q APO F/6.5 Refractor, ASI 1600MMC Pro (bin 1×1, gain 100), Baader RGB filters, EQ6, unguided. 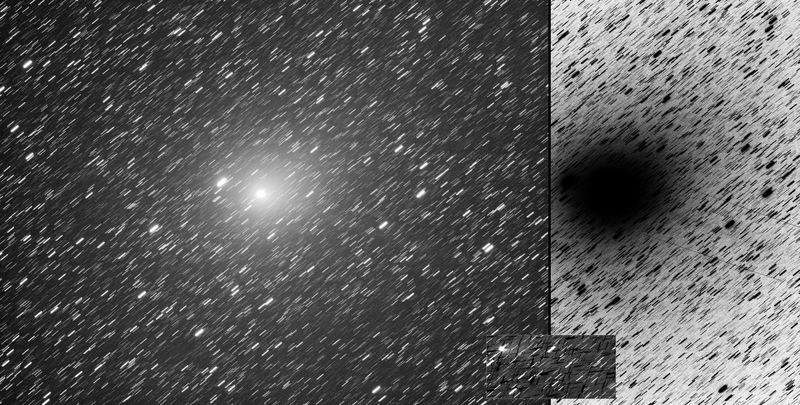 Luminance: 34x30secs exposures tracked either on the comet or the background. RGB: 4x30sec each. Processing in DepSkyStacker, Registax, AstraImage, Photoshop. This entry was posted on December 26, 2018 at 03:51 and is filed under ASTRO. You can follow any responses to this entry through the RSS 2.0 feed. You can leave a response, or trackback from your own site.